First, we group the horses into groups of 5 and race each group in the race course. This gives us 5 races (see image below). 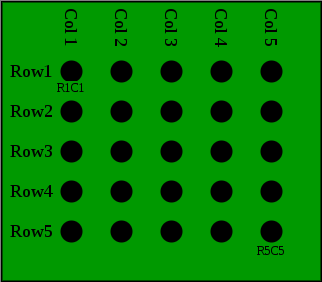 In the image, each row represents one race of 5 horses. For convenience, let us name the horses using row and column index. Therefore, the first race(row 1) was contested between the horses R1C1, R1C2, R1C3, R1C4 and R1C5. The second race (row 2) was contested between the horses R2C1, R2C2 and so on. 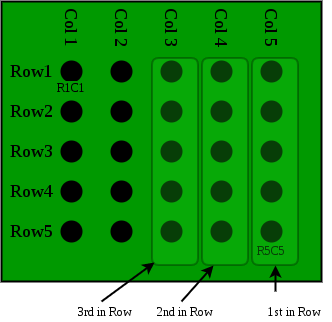 Let us assume that the fifth member of each row won the race (R1C5 won the first race, R2C5 won the second race and so on), the fourth member of each row came second (R1C4 came second in the first race, R2C4 came second in the second race and so on) and the third member of each group came third (R1C3 came third in the first race, R2C3 came third in the second race and so on). Next, we race the 5 level 1 winners (R1C5, R2C5, R3C5, R4C5 and R5C5). Let’s say R1C5 wins this race, R2C5 comes second and R3C5 comes third. The winner of this race (R1C5) is the fastest horse of the entire group. 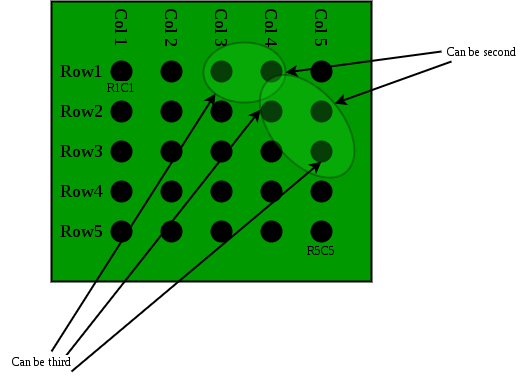 Now, the horse which is second in the entire group can either be R2C5 or R1C4. 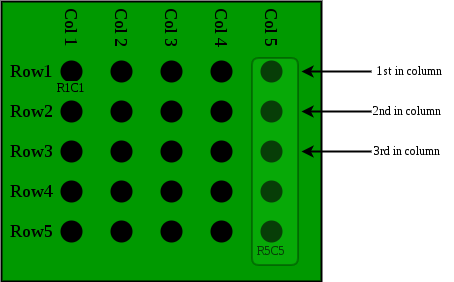 The horse which is third in the entire group can either be R3C5, R2C4 or R1C3. Therefore, we race these 5 horses. Therefore, the horse R1C5 is the fastest horse. The horses which come second and third in the last race are the horses which are second and third in the entire group respectively. in this way, the minimum number of races required to determine the first, second and third horses in the entire group is 7.
which implies a1 must be FIRST. b1 and c1 MAY BE(but not must be) 2nd and 3rd. (we have to find top 3 horse therefore we choose horses b1,b2,a2,a3,c1 do racing among them [RACE 7 DONE]. Please note that the 7 races work for the case also when all top 3 horses are same group or any top two horses are in same group. The group which has top 3 horses would always have winner in 6th race. In 7th race, we consider 2nd and 3rd horses of the group whose horse is overall winner. We also consider 2nd horse of the group whose horse came 2nd in 6th race.